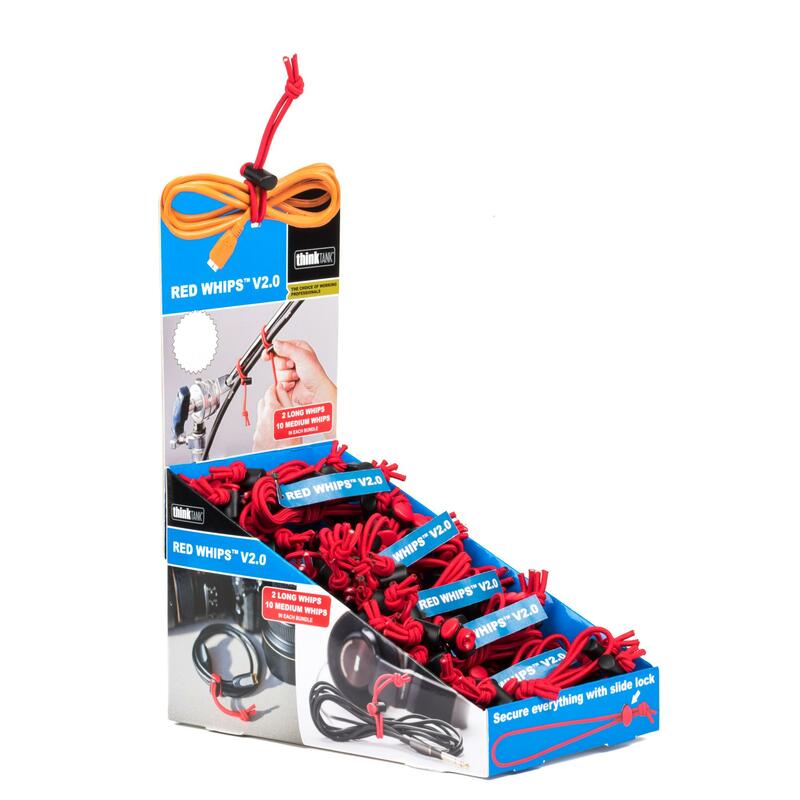 Red Whips V2 - Bulk Pack of 24 sets of 12 heavy duty adjustable cable wraps. 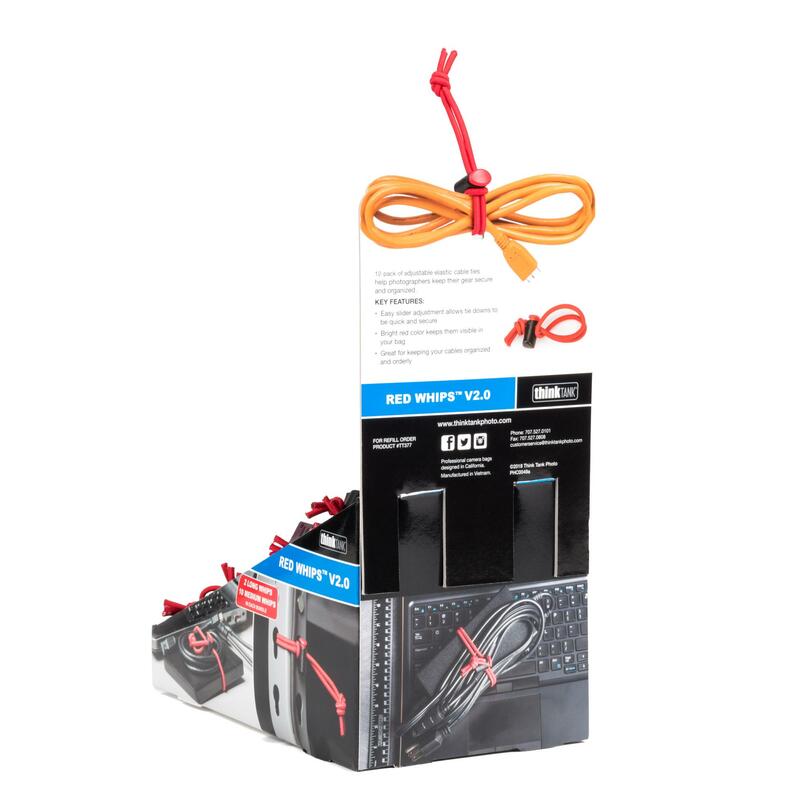 These elastic cable wraps are an inexpensive accessory that helps you to manage unruly cables and cords.They are also useful as luggage identifiers, tarp tie down, cable routers, for suspending cables out of camera view, and hundreds of other household and office uses. 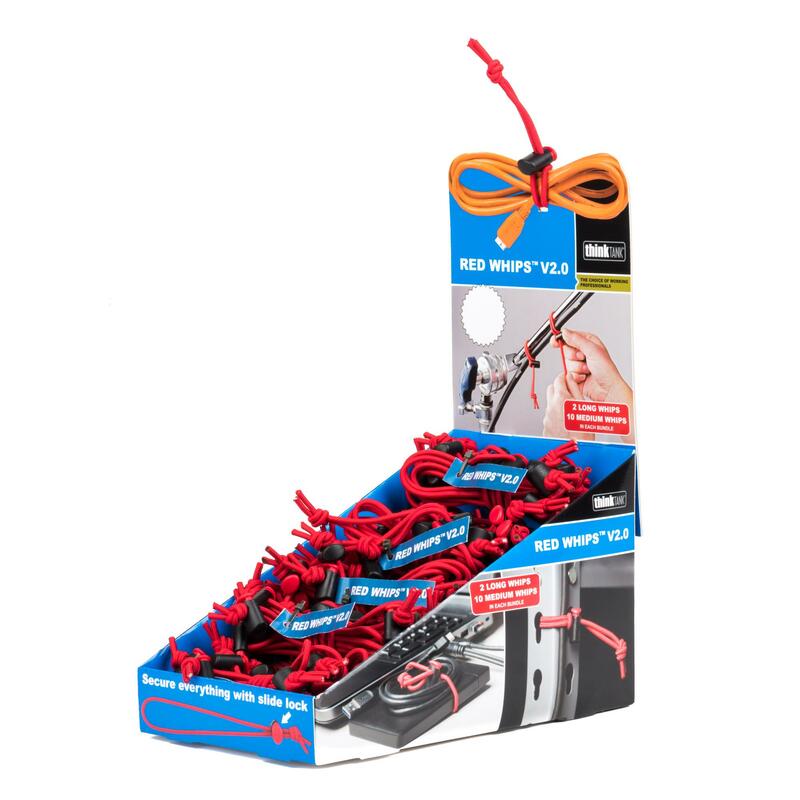 There are 12 bungee cable ties in a Red Whip set, which are built to withstand the daily rigors of the working professional.